My sister is having surgery in a few days and I wanted to send her a card along with my best wishes. 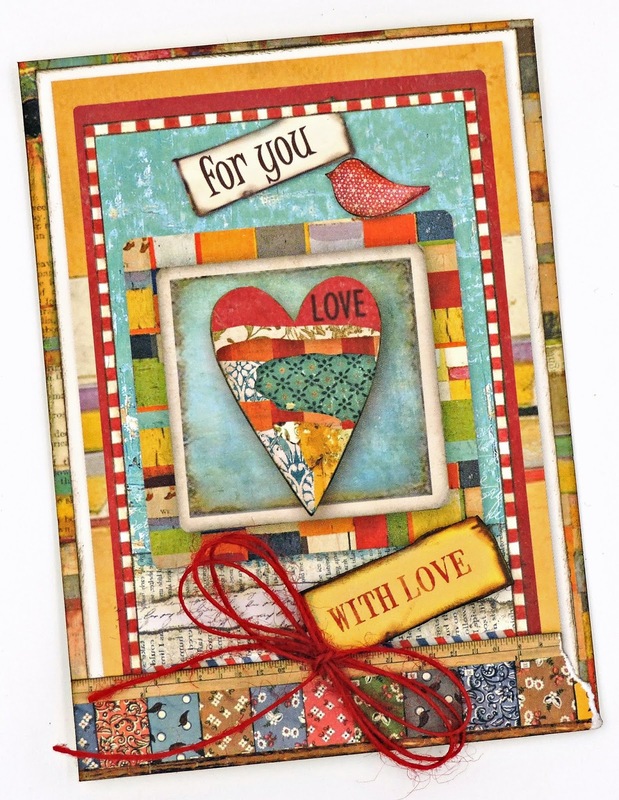 Since she’s a quilter, I thought that the Patchwork collection from Stamperia would be perfect. Talk about quick and easy – this is actually a cut-apart adhered to a 4 x 5½ piece from another sheet. 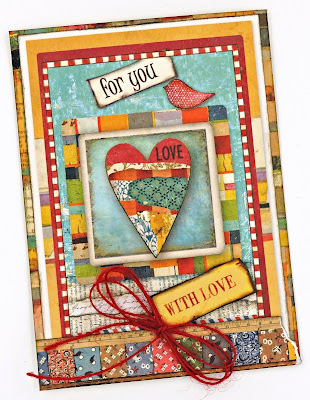 I then cut a bit of a border strip and tore one edge before gluing it to the bottom of the card. A cut-out popped up with dimensional tape and a bit of a bow and I was done!